Is your hotel located near Garrick Theatre? Get in touch now to be listed on this page. For a reasonably priced stay in a premium location, the Leicester Square Premier Inn is an excellent choice. 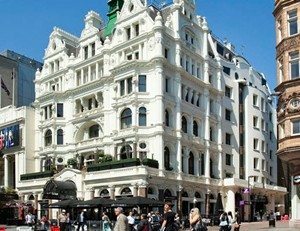 Situated moments from the Garrick Theatre and just off Charing Cross Road, Premier Inn is near to several different tube stations, many restaurants, bars and is just a short walk away from Oxford Circus, London’s main shopping district. Although Premier Inn is more economical option than many of London’s more decadent hotels, it still offers comfortable facilities such as king-sized beds, en-suit bathrooms (with the usual amenities) and Freeview TV in every room. Rooms are equipped with WiFi but guests will have to pay a small surcharge to use the facility. Premier Inn also has a fully licensed bar and restaurant. Call 0871 527 9334 for reservations and further information. Reviewers on TripAdvisor have given the Premier Inn, Leicester Square 4.5 out of 5 stars. The Langham, London is the perfect hotel for a theatre break. Located in the heart of the West End, minutes from some of the World’s finest shops on Regent Street and a short walk to the Garrick theatre, guests will be enchanted from the moment they enter this luxurious hotel. Opened in 1865, The Langham is Europe’s oldest ‘Grand Hotel’ and following an £80m transformation guests enjoy the ‘World’s Best Bar’ Artesian, awarded by Drinks International, fine dining in Roux at The Landau, afternoon tea in Palm Court and complimentary use of the Chuan Health Club with 16 metre pool, Jacuzzi, salt sauna and steam rooms. Call 020 7636 1000 for reservations and further information. Reviewers on Trip Advisor have given the Langham 5 out of 5 stars. 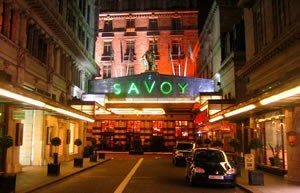 Having reopened in 2010 following an extensive 3 year renovation, the Savoy hotel has returned to its former iconic status as the provider of luxury and comfort. On top of that, the hotels architectural features have been fully restored to their Art Deco and Edwardian glory. Rooms at the Savoy are fully equipped with air conditioning, LCD televisions they also offer luxury bathroom amenities and facilities such as WiFi, 24 hour room service, a turn down service and complimentary shoe shining. The hotel is decorated to the highest standards with marble floors and Moreno glass chandeliers. The Savoy also plays host to several fine dining restaurants. Call 020 7836 4343 for reservations and further information. 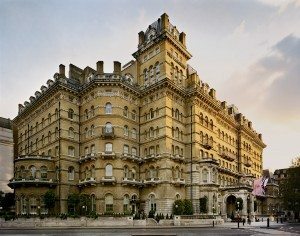 Reviewers on TripAdvisor have given The Savoy 4.5 out of 5 stars.